Cameron and Erin have know each other since they were very young. They used to play together on the field while their older siblings played baseball. They even attended the same junior high and high school however it wasn’t until senior year that they started dating. Now, they will marry this month at the Flower Farm in Loomis. I simply LOVE the Flower Farm. Cameron LOVES basketball and is a Warriors fan. Having enjoyed many a Kings game in the past (my husband calls me a fair weathered fan), I had to know. They enjoy going to games together. Erin, is a self proclaimed “old soul” who enjoys a cup of earl grey year, a good book and a good dog by her side(at least one of the four of their fur children). When Erin told me that they both enjoy flying in the wind tunnel at ifly Skydiving where Cameron works, I immediately wanted to know if we could make that work for a photo shoot. I did. That would have been a first but in the end was perhaps a little to complicated. Oh well, perhaps first anniversary? Maybe?? Erin and Cameron are super sweet, easy going and definitely a bit goofy and silly…and maybe Cameron a little more so in the goofy department. Meeting them was an energetic way to end the day. 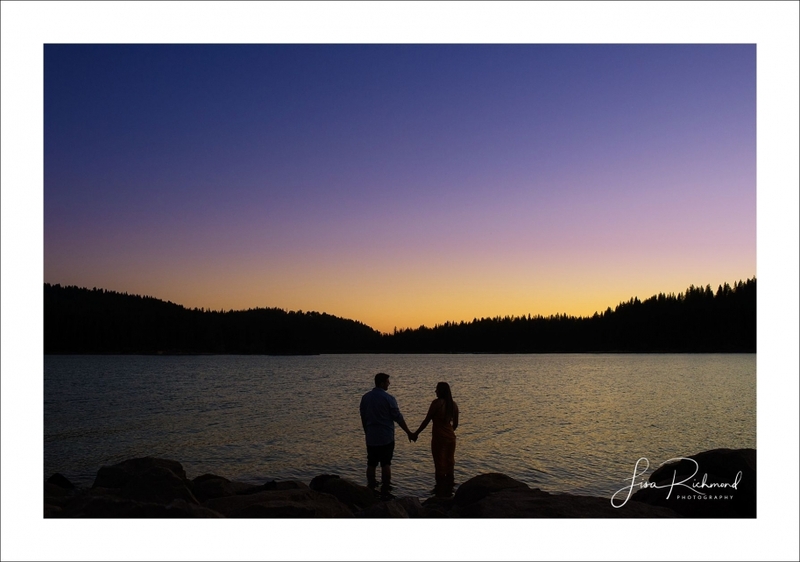 We decided on Sly Park for their engagement session(minus helmet, flight suit and goggles this time) and had fun getting to know each other before their big day. They were up for anything and in between laughs were only a little concerned that all their images would be of them laughing…LOL, most of them are – because it seems, that’s who they are. And that’s a good thing. 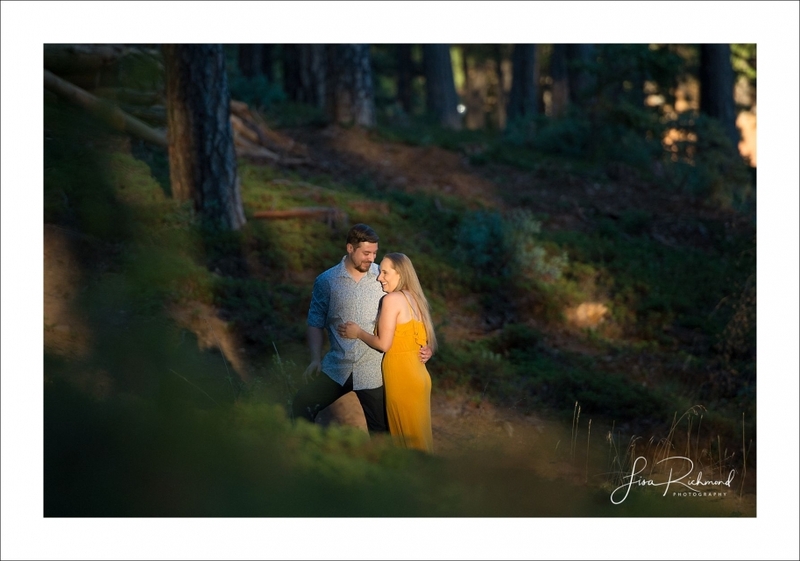 Sly Park Lake, lovely late afternoon light, and an awesome couple. See you all in a week for the big celebration. I can’t wait! Special thanks to Dante Cairns for assisting me on this one. Thank you Helen for saying so. I very much enjoyed playing with them and capturing their natural way together. You captured their love and personalities perfectly in your photos!! I can’t wait to see the wedding photos!